Meghan O’Donogue has completed her dressage test at the Fidelity Blenheim Palace International Horse Trials CCI***on Pirate, the OTTB she’s brought on herself since a youngster, and now looks forward to the cross country on Saturday. I caught up with her walking the course to chat about her thoughts on the course, and what it feels like to ride on a US squad internationally. Wishing Meghan and Pirate a safe and speedy trip on Saturday, and looking forward to watching them eat up the course! 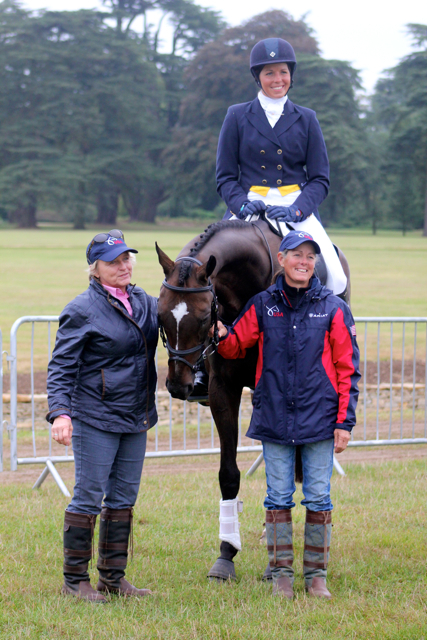 Go Megan and Pirate at the Fidelity Blenheim Palace International Horse Trials!